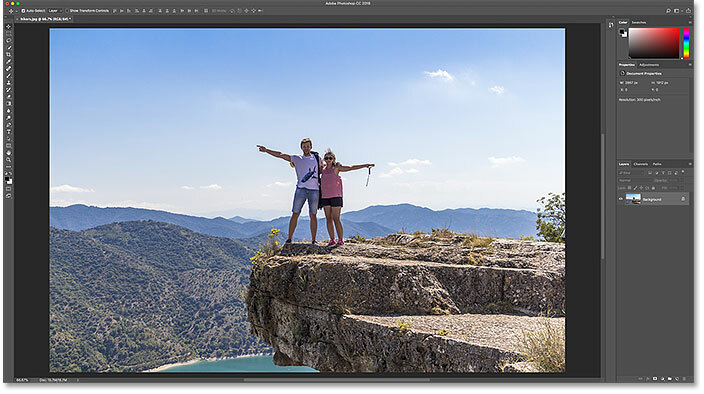 In this tutorial, I show you how to crop images, how to straighten images, and how to crop an image non-destructively with Photoshop CC! 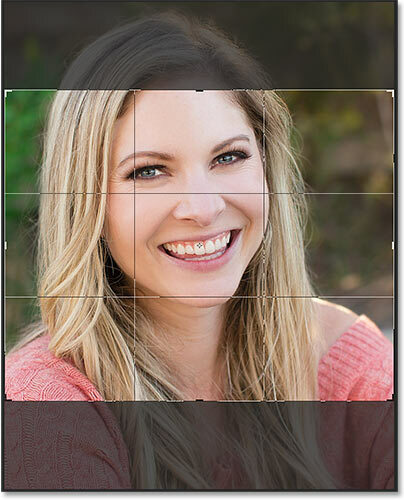 We'll start with the basics and learn how to crop images using the Crop Tool. 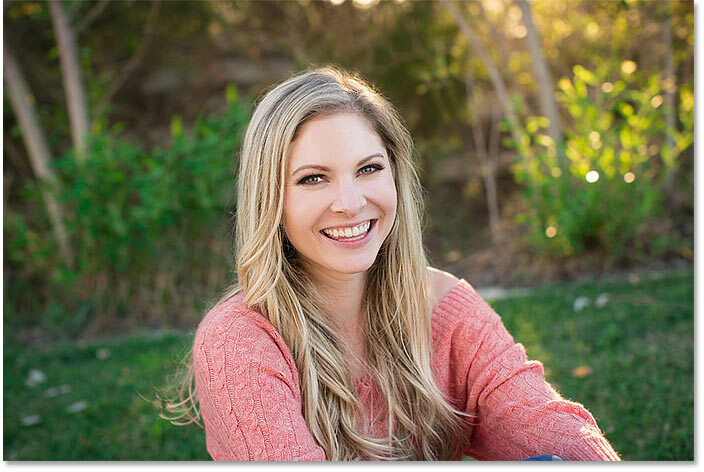 Then we'll learn how to straighten an image with the Crop Tool. 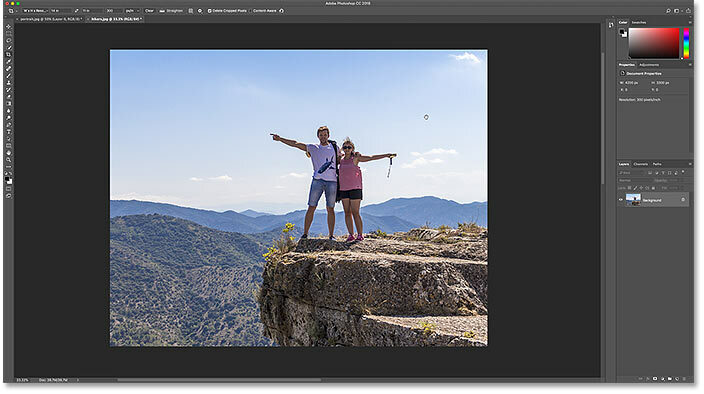 And finally, we'll look at a great feature, first introduced in Photoshop CS6, that lets you crop an image without losing any of the original pixels. We've got a lot to cover, so let's get started! 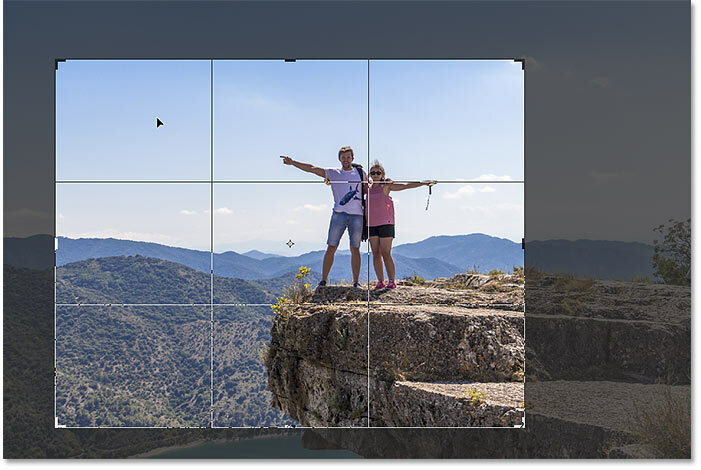 As soon as you select the Crop Tool, Photoshop places a cropping border around the image. And if you've used the Crop Tool on a previous image, the border will be set to that previous size. So before we go any further, let's reset the Crop Tool to its default settings. 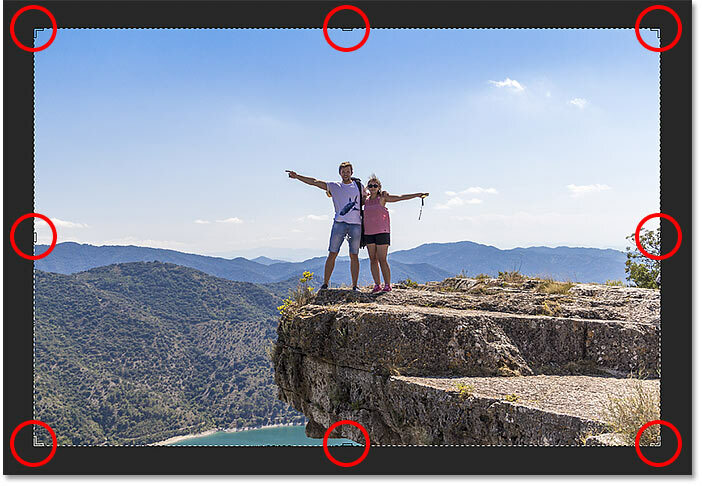 Photoshop automatically loads the previous Crop Tool settings. 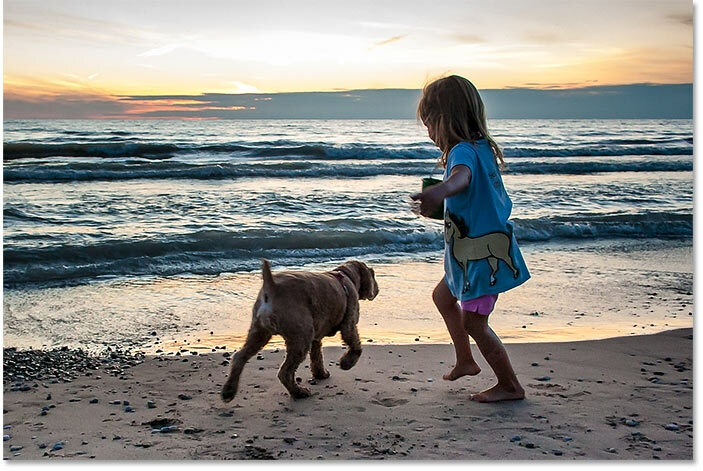 The cropping border is set to the previous aspect ratio. Right-clicking (Win) / Control-clicking (Mac) on the tool icon. The default Crop Tool settings. Resetting the Crop Tool options did not reset the cropping border. The cropping border itself has been reset. The handles around the crop border. Dragging the handles to resize the border. 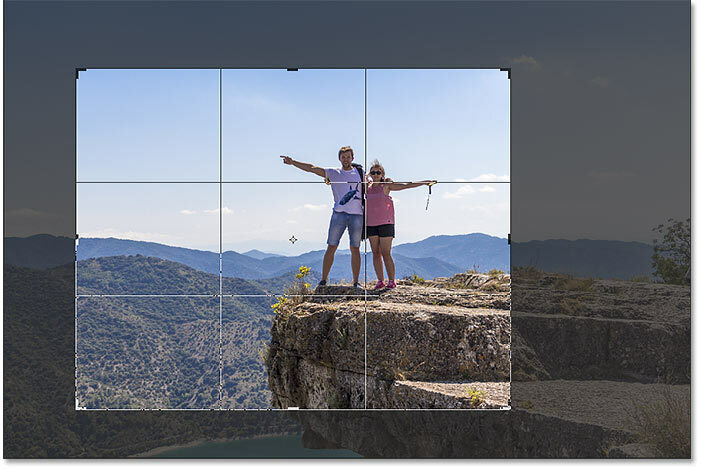 Dragging the image inside the crop border. 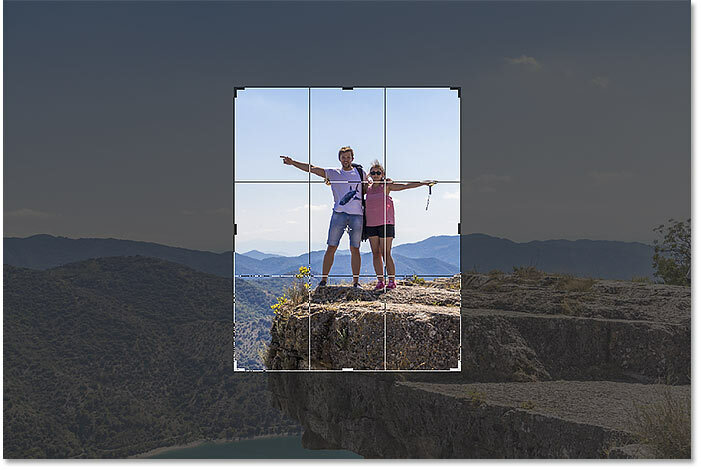 Clicking and dragging a crop border manually. Adjusting the crop after drawing the border. 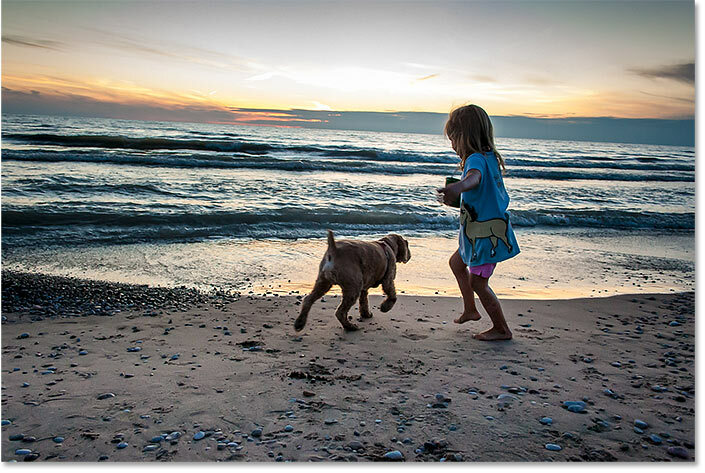 Hold Shift and drag a corner handle to lock the aspect ratio of the crop. 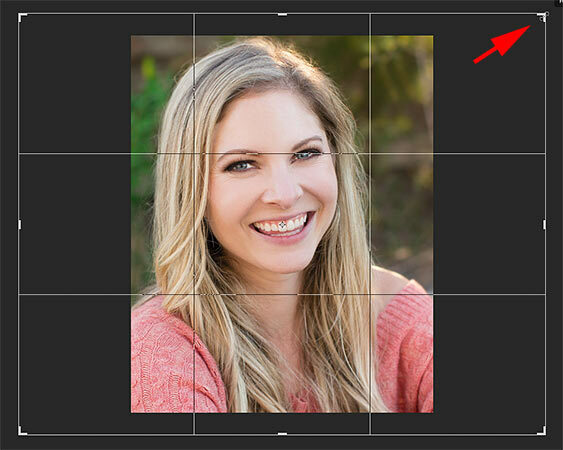 Hold Alt (Win) / Option (Mac) to resize the crop border from its center. 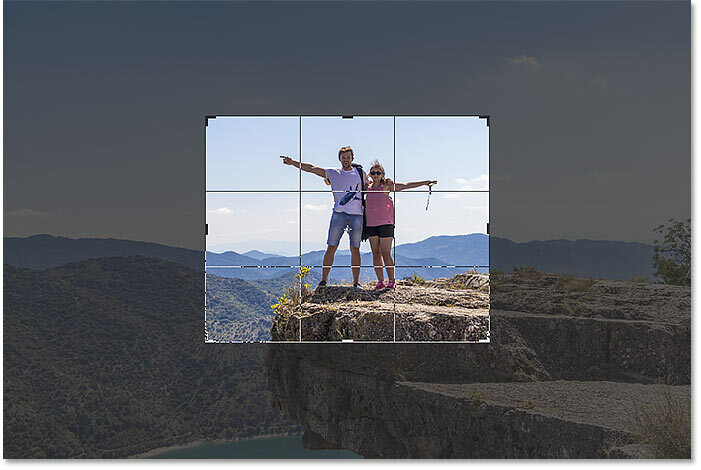 Hold Shift+Alt (Win) / Shift+Option (Mac) to lock the aspect ratio and resize from center. What if there's a specific aspect ratio you need? 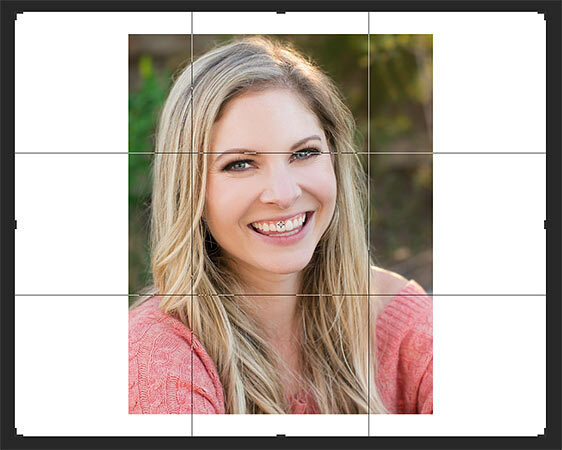 Maybe you want to print the image so that it fits within a certain frame size, like 5 x 7 or 8 x 10. In that case, you can set the aspect ratio in the Options Bar. 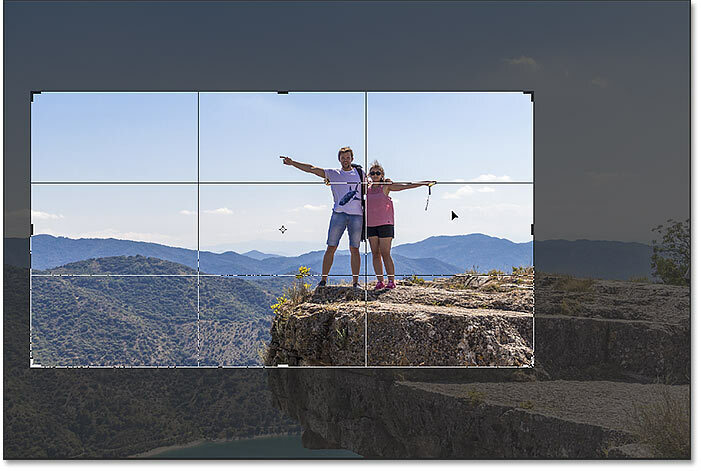 Clicking the Aspect Ratio option in the Options Bar. 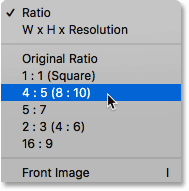 Choosing 8:10 from the Aspect Ratio menu. The preset is entered into the settings. The crop border instantly switches to the chosen aspect ratio. Swapping the Width and Height values. The crop border updates with the new orientation. 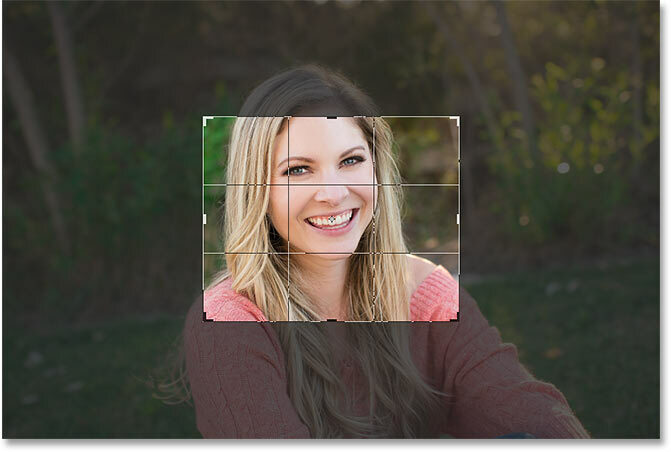 Entering a custom aspect ratio. The border is now set to the new ratio. The new custom preset is added to the menu. Clearing the current aspect ratio settings. 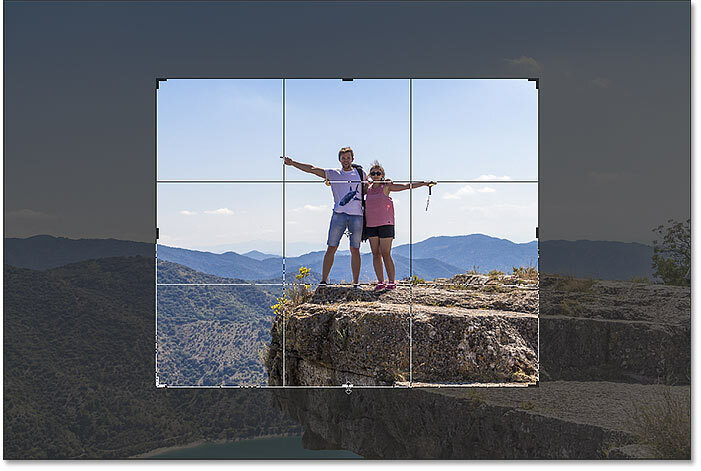 Resizing the crop border without being locked to an aspect ratio. Opening the Aspect Ratio menu. Choosing "W x H x Resolution" from the menu. Entering a specific size for the width and height, in inches. Entering a print resolution of 300 pixels per inch. 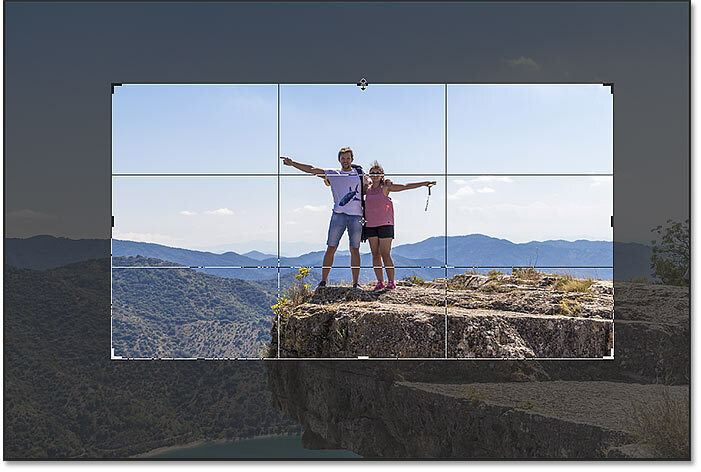 Cropping the image to a print size of 11 x 14 inches. 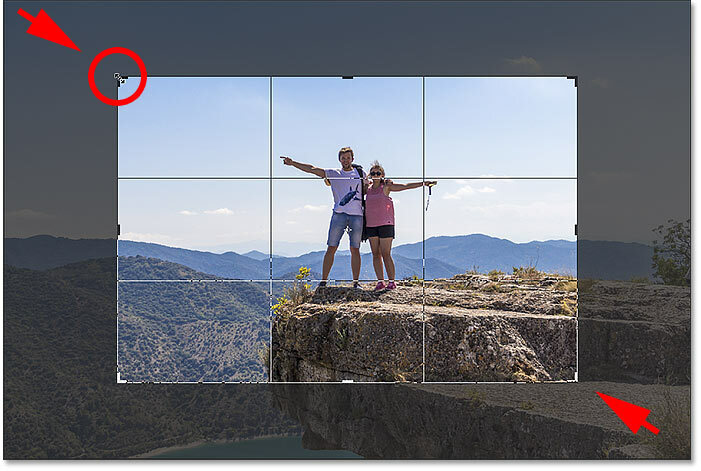 Cropping the image by clicking the checkmark. The image after accepting the crop. 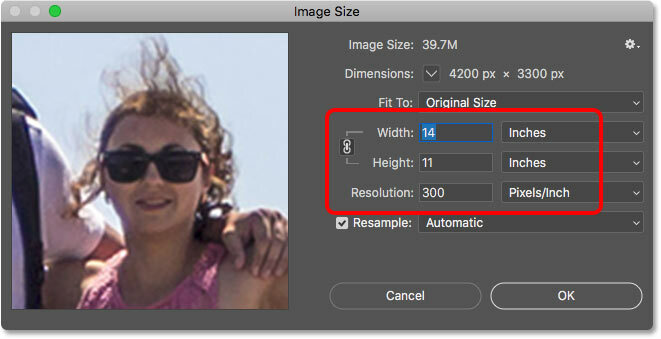 Confirming the new crop size in the Image Size dialog box. The image is back to its original size. 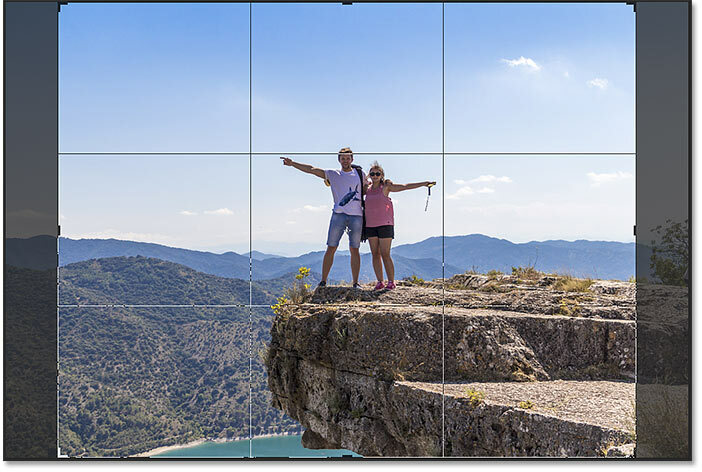 The 3 x 3 "Rule of Thirds" grid inside the crop border. 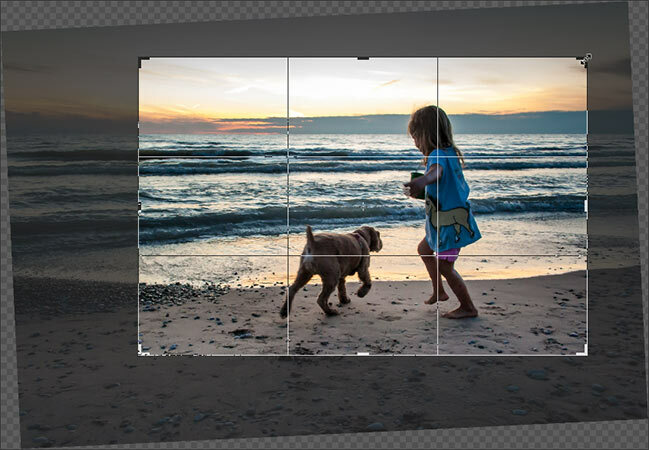 Composing the crop using the Rule of Thirds grid. Choosing the Golden Ratio grid overlay. 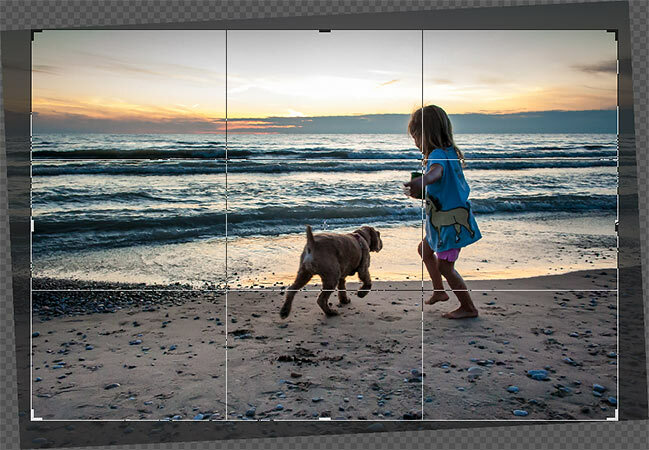 Composing the crop using the Golden Ratio overlay. The image cropped using the Golden Ratio. 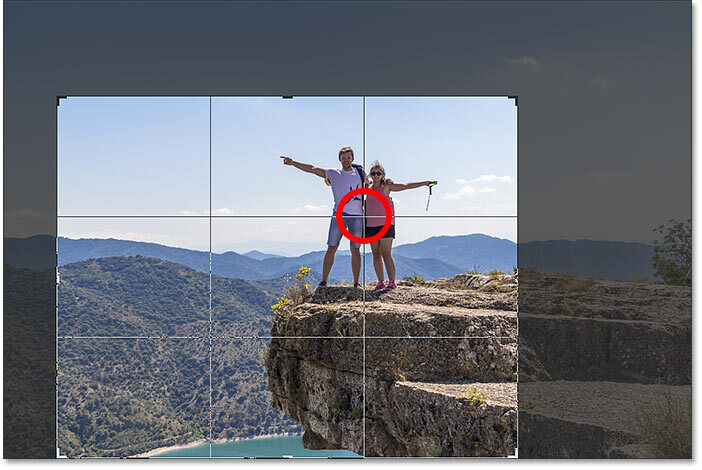 And that's the basics of how to crop an image with the Crop Tool! 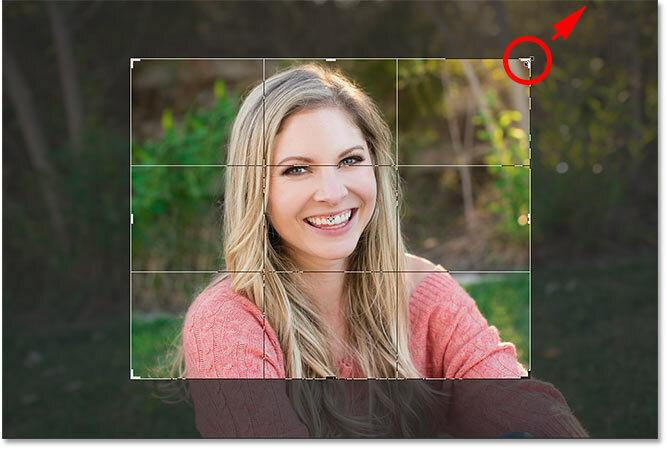 Related: How to crop images in a circle! The horizon line shows that the image is slanted. Dragging a line across the horizon with the Straighten Tool. 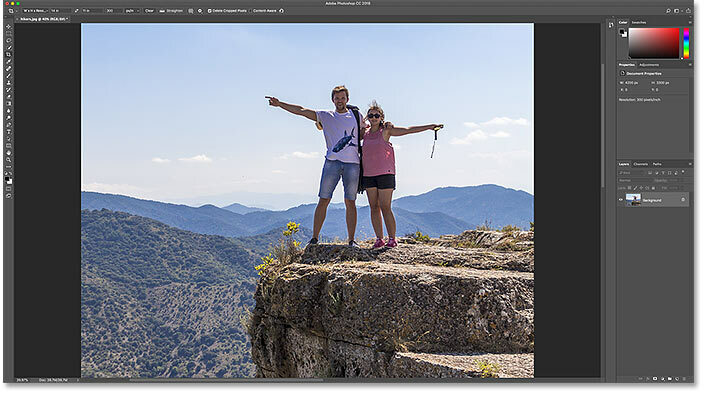 Photoshop straightens the image and resizes the crop border. 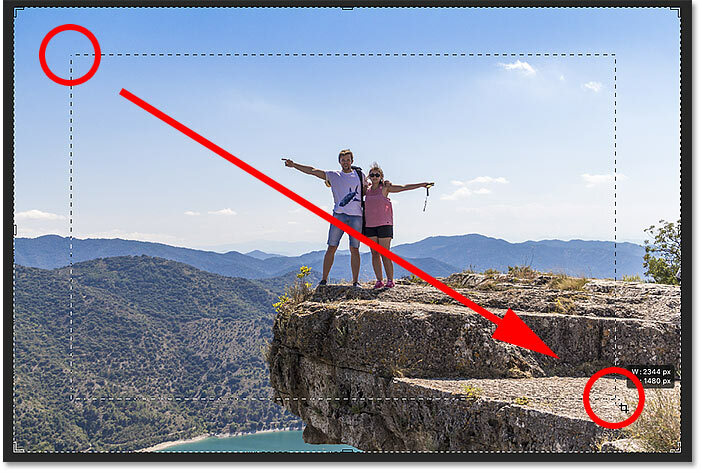 Manually resizing the crop border after straightening the image. The image after straightening and cropping it. 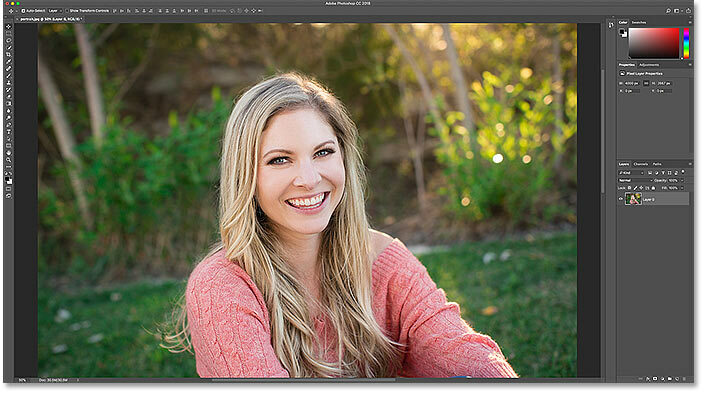 And that's how to straighten an image with the Crop Tool. 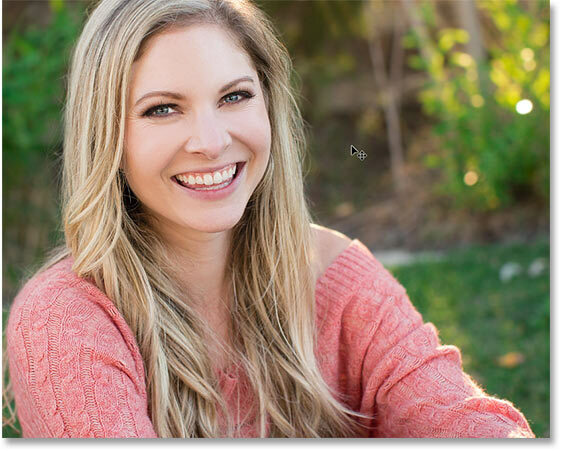 I cover more ways to straighten an image in a separate tutorial. 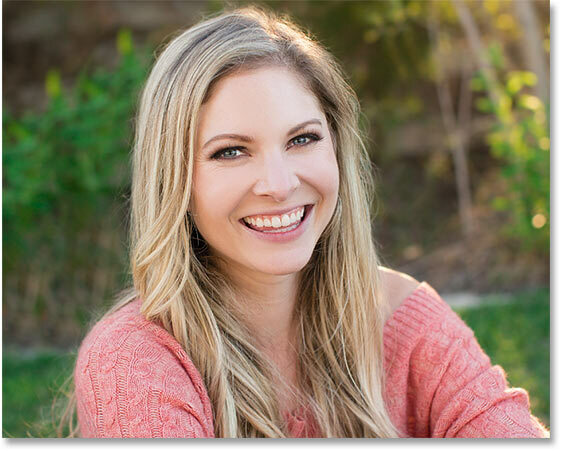 Choosing the 8 x 10 preset. The initial 8 x 10 crop. Swapping the width and height of the aspect ratio. Resizing the border after the initial crop. The area around the original crop is filled with white. Photoshop fills the missing areas with the Background color. 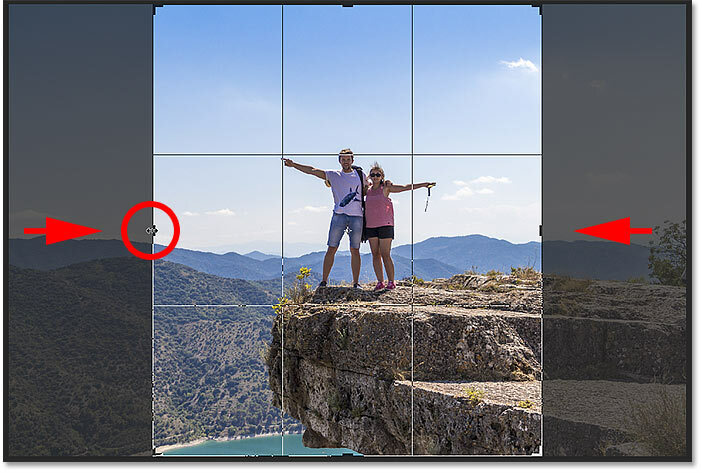 The Crop Tool's "Delete Cropped Pixels" option. The image has been restored. 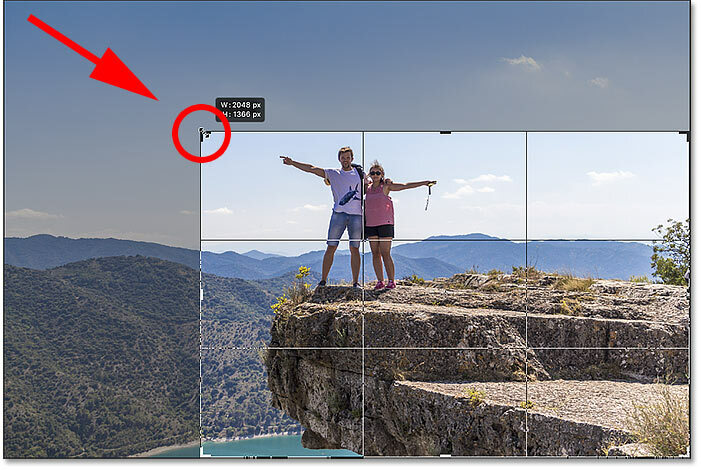 Swapping the aspect ratio from Landscape to Portrait. Unchecking the Delete Cropped Pixels option. 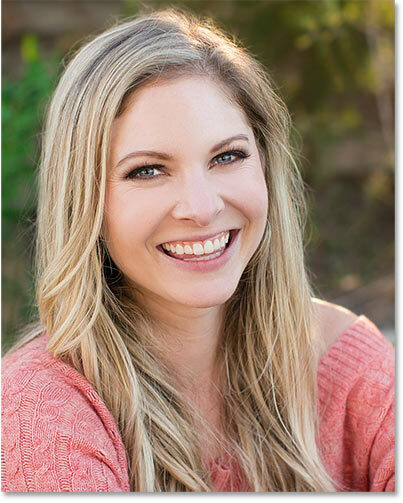 Cropping the image again as an 8 x 10 portrait. 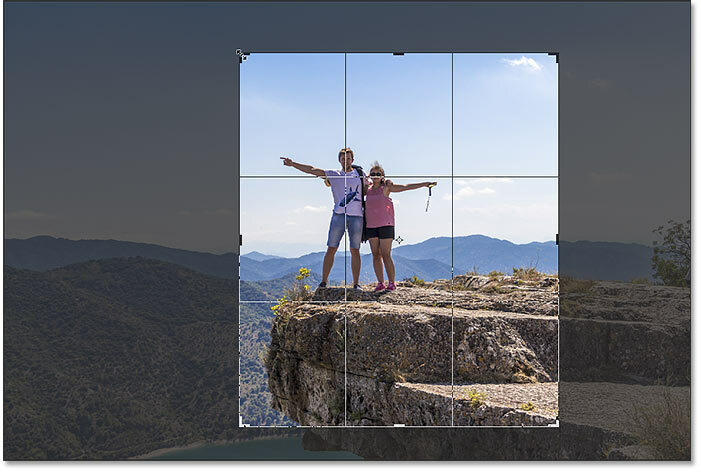 Swapping the aspect ratio from Portrait to Landscape orientation. All of the original pixels are still intact, even after cropping the image. The photo has been cropped non-destructively. Repositioning the image inside the crop. And there we have it! 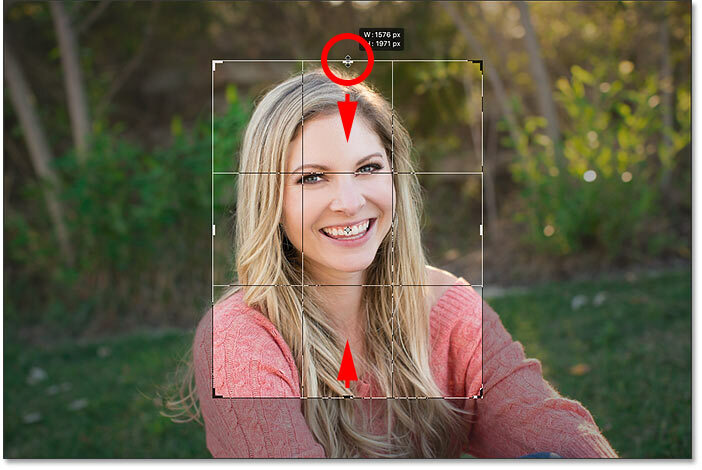 That's how to crop images, how to straighten images, and how to crop your photos non-destructively, in Photoshop! 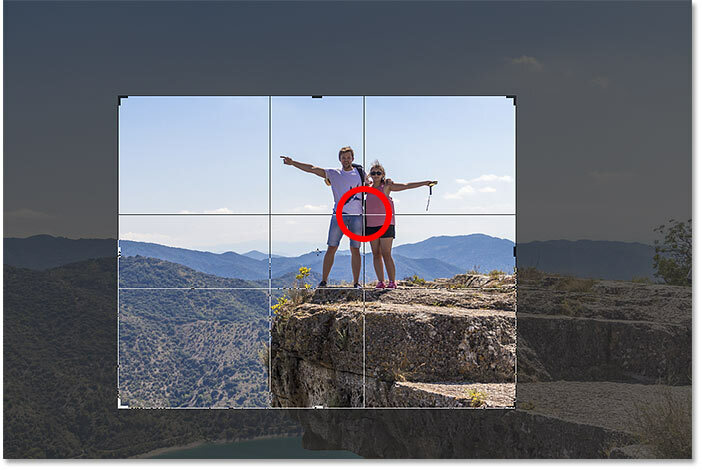 If you're tired of rectangles and squares, learn how to crop images in a circle! Or visit our Photo Editing section for more tutorials!